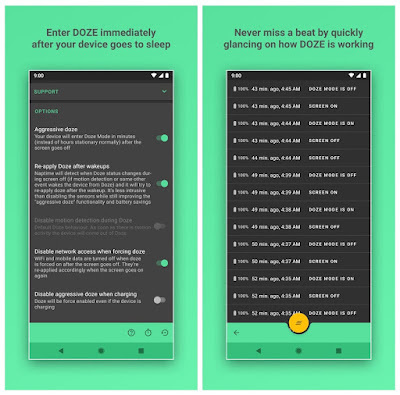 With Naptime premium by toggling in the "Aggressive doze" options (and assuming you're rooted) Naptime Doze will kick in right after you screen off. When your device screens on everything goes back to normal. It's just like magic.You can also see the log of each state. What's the 'Sensors app whitelist' feature? 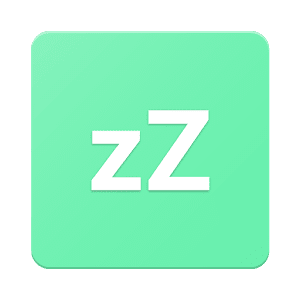 It works together with the 'Disable motion detection' feature and allows you to choose up-to one app (sorry, Android limits us to only one app) to request sensor information even if you disable motion detection. For example it allows apps, such as Google Fit, to query the accelerometer or gyroscope to count your steps. Why does my display, sometimes, blink once after screening on? My fingerprint scanner doesn't work when I disable the sensor motion detection!